Dongba writing is the world's only pictographic writing system still in use. 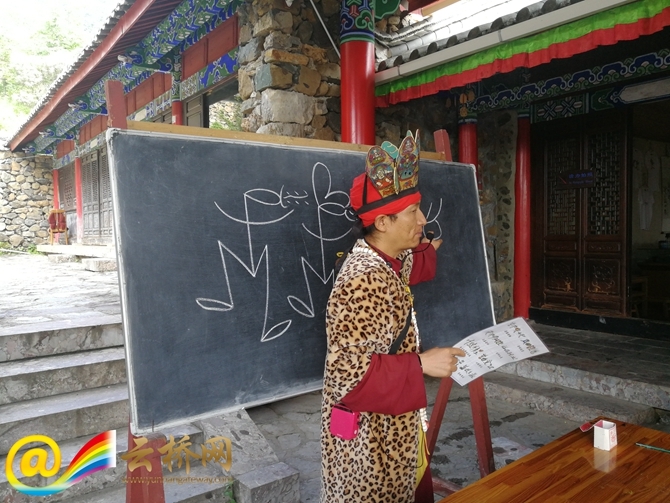 It is the unique writing system of the Naxi ethnic group in northwest Yunnan’s Lijiang City and is dubbed as the ‘living fossil’ of pictograph. 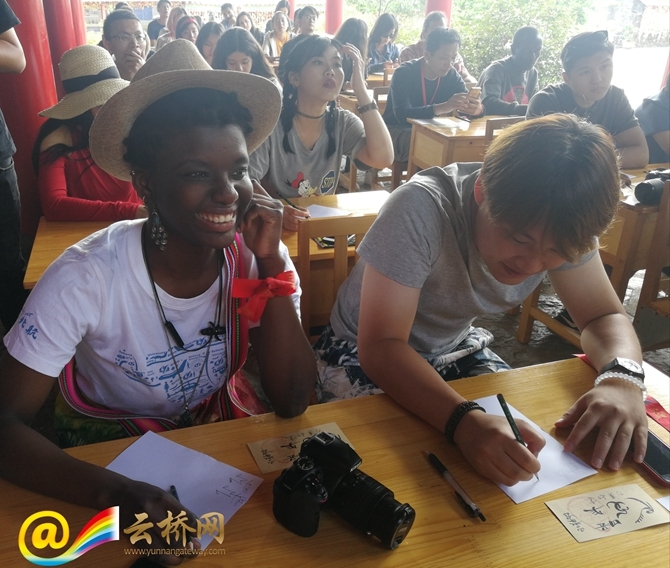 During the Yunnan tour of “International Students Focus on China” held recently, more than 20 students from 18 countries visited Lijiang. 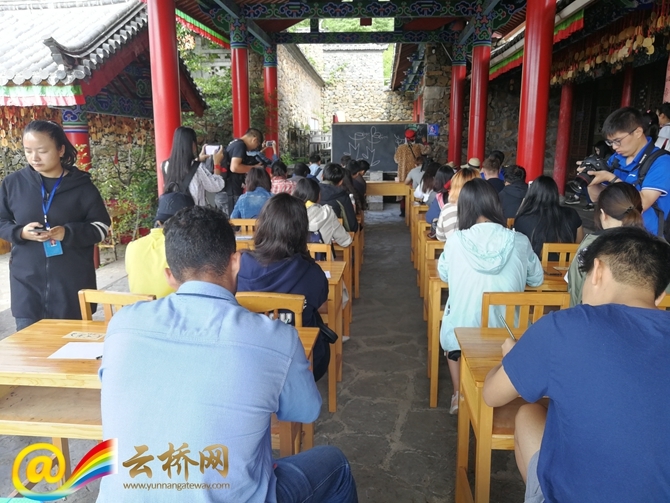 They attended a special class of Dongba writing lectured by He Huaqiang, an experienced Dongba writing teacher in Yushui Village where Dongba culture originated. 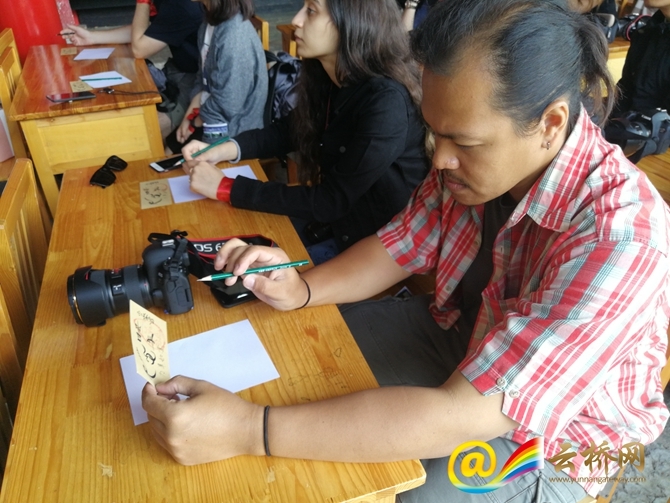 The international students learned how to recognize the simple shape of Dongba characters and how to write them. Mr. He taught them the character ‘dancing’, which looks like a man and a woman dancing happily together. As for the numbers, Naxi people has their own way to calculate, the dot and the X symbol represent specific numbers and it is easy for people to use these symbols to record numbers. During the 30-minute class, the students were impressed by the lifelike Dongba characters. Ryuta Ichikawa from Japan even bought a Dongba dictionary. 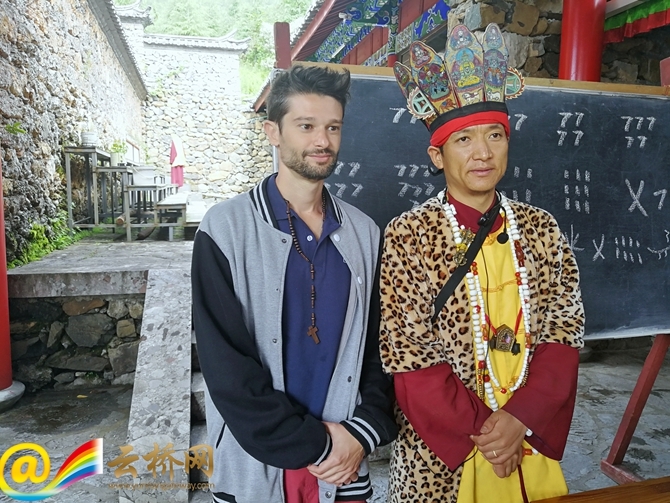 “It is really interesting to learn ancient ethnic culture of China,” he said.